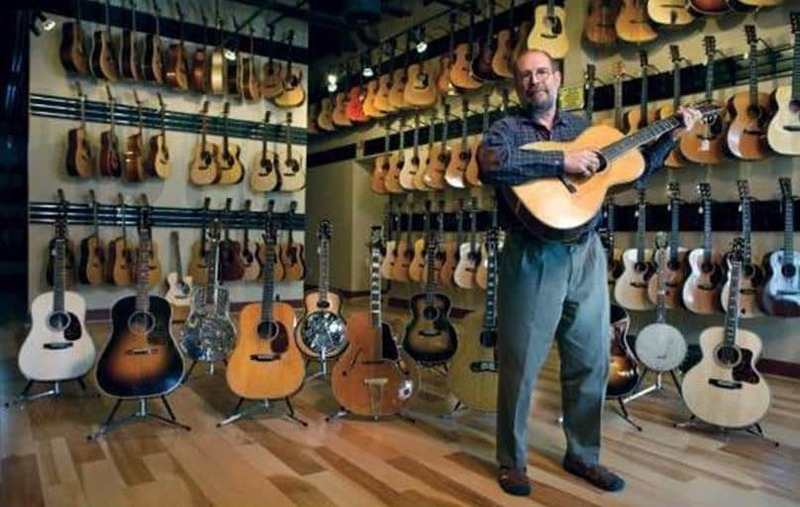 Gear Vault » Acoustic Guitars » Front Page Gear » Guitars » Interviews » Music » Nashville’s Must-Stop Music City Guitar Stores! Come on by Gruhn Guitars aka guitar heaven! You may not find anything in your price range but a girl can wish, right!?! Honestly, Gruhn does provide for every guest’s price range but their (rightfully so) higher priced vintage collection outshines any guitar in my budget leaving me aspiring for greater things which equates to more cha-ching in the piggy bank. 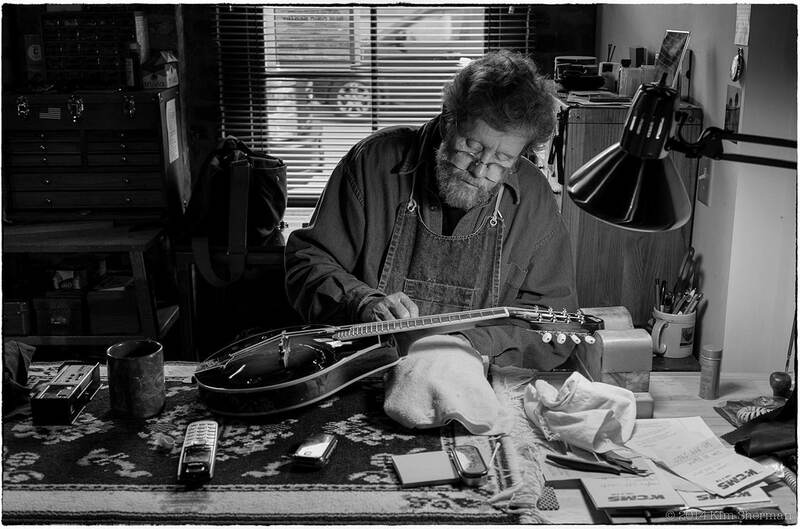 George Gruhn birthed Gruhn Guitars in 1970 developing his “baby” into one of the leading suppliers of vintage and used instruments around, consequently evolving into the mecca for musicians both local and worldwide it is today. Gruhn Guitars is guaranteed to leave you salivating and forcibly dragging your jaw across the floor and out of their fantasy-filled shop. See for yourself at: www.gruhn.com. Hit up Corner Music on 12th Ave. South and you won’t be disappointed. Deemed a local hotspot located in an up-and-coming trendy little Nashville neighborhood with so much to offer its patrons. It seems like every single staff member took the time to give me that hoped for southern welcome. 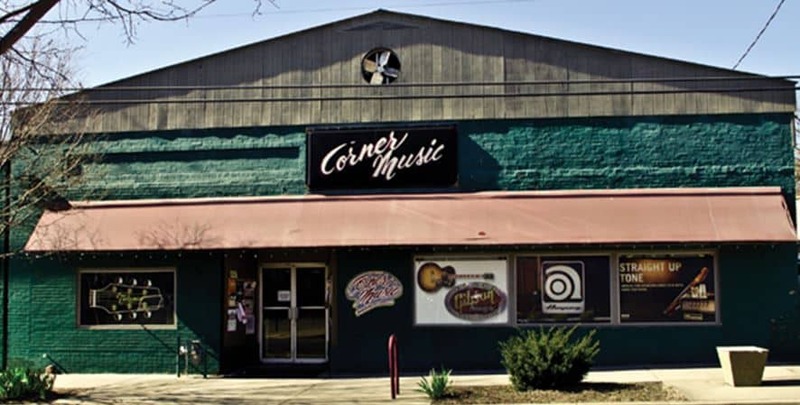 Corner Music can keep up with all your music needs: from stringed instruments to ivories to amps and audio equipment….“oh my!” They’ve got you covered. The staff was helpful, not pushy like many commissioned salesmen. The atmosphere was very hands-on, nothing like the “museums” many of these stores have converted into. Corner seems to encourage their guests to pick up that beauty you’re eyeing and really get the feel of her. 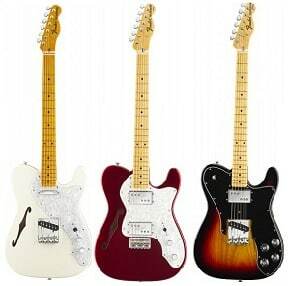 They cater to all desires carrying mainline brands while maintaining a variety of boutique guitars and amps as well. Check out their website: www.cornermusic.com. I especially approve of their comical staff bios with coordinating $$$ values for each and the convenient “ad-to-cart” option! Minutes from the heart of Music City, you’ll find Cotton Music Center tucked away in Nashville’s historic Houston Station. 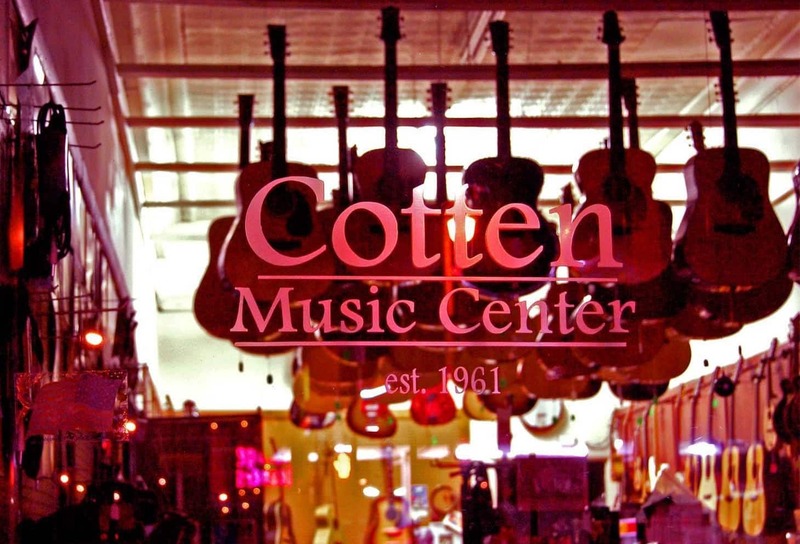 Richard Cotton, one of Nashville’s own brilliant jazz musicians, founded Cotton Music Center in 1961 building one of Nashville’s most beloved guitar stores to date. Present day, Kim Sherman ensures Richard Cotton’s legacy lives on. Arriving at their shop in Houston Station gave us the feeling that we had really discovered a treasure among the shadows. The gorgeous hardwood floors and soft showcase lighting welcomes all to explore what Cotton Music Center has to offer its guests. Rick and Kit Crump are simply the most inviting and helpful duo around. Road trip it a bit southeast to a quaint community, known as Smyrna Tennessee, to visit Jonathan Fletcher Music a while. Jonathan Fletcher himself is there most days and is always up for a little rockin’ dialogue. Upon entering the shop, it is apparent that these guys put their community first. We have found the local after-school hangout for Smyrna’s youth. 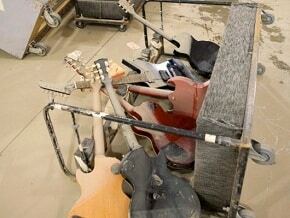 When Adam and Joe weren’t assisting customers, they were plugging the kids into amps and lettin’ em’ rip! Admittedly hesitant at first, fingers eager to plug ears, we were pleasantly surprised by the talent coming from these rug rats. After the fact, we discovered that these kids are just a few of Jonathan Fletcher’s treasures showing off a few of their mad skills attained in Fletcher’s offered lessons. Jonathan Fletcher Music was established in Smyrna, TN in 1999. 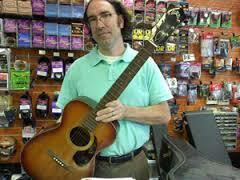 His shop’s primary initial focus encompassed quality guitar lessons. Over time the business began to grow and evolve. Jonathan naturally transitioned into the retail world of selling guitars, basses, amps, and accessories. Quickly out growing his former locations, the business happily settled into its current local music hub. Jonathan really expanded his retail and service offerings to include repair and rental services plus new and used instruments. You need it, he’s got it: drums, keyboards, digital pianos, recording equipment, sound systems, and band & orchestra instruments. Currently Jonathan Fletcher Music has quadrupled its teaching staff since the shop’s start and offers lessons for acoustic guitar, electric guitar, drums, bass, piano, banjo, voice, violin, flute, viola, saxophone, mandolin, and… well… you name it. The pride and passion simply radiates from Jonathan when he describes Open Mic Night, Summer Rock Camp, Smyrna Singers, and Smyrna Strings. Just a few of the really awesome events this shop sponsors! 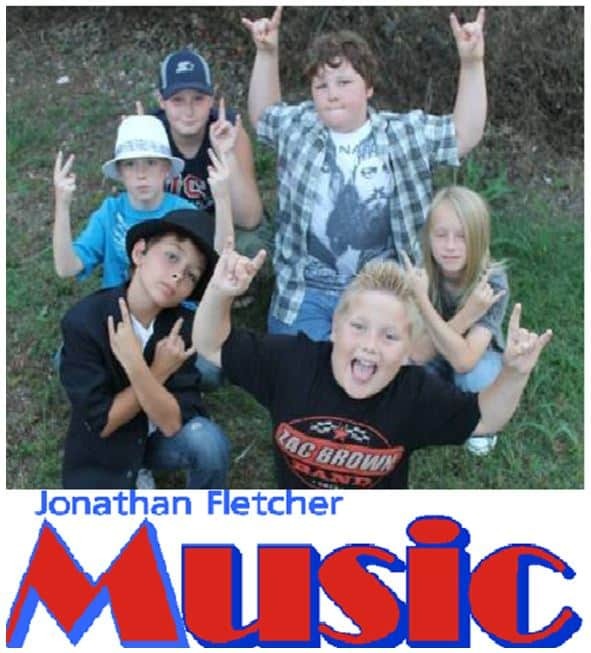 We truly respect Jonathan Fletcher Music’s mission in fostering tomorrow’s talent today. 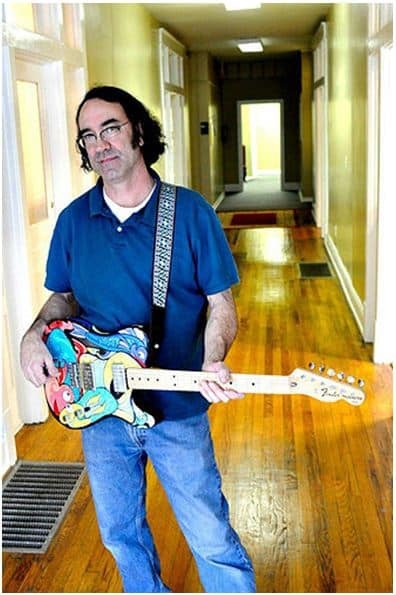 The local artistic community: by contracting local artists to beautifully hand paint a selected few of his guitar giving his patrons a unique one-of-a-kind alternative. 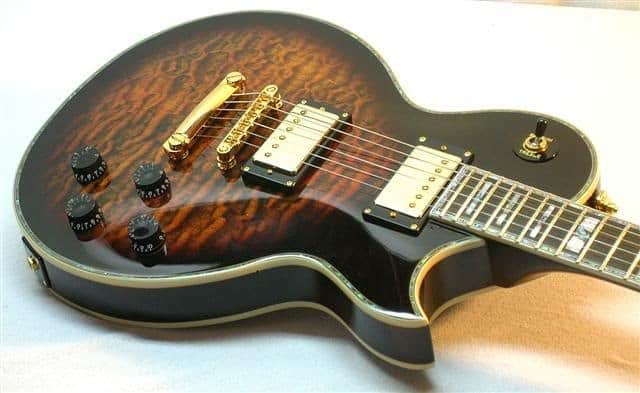 Such a rarity in today’s world but truly a family-run business, Forrest York Guitars opened January of 2012 and continues to thrive with the support of wife/accountant- Colin and son/manager- Ryan. 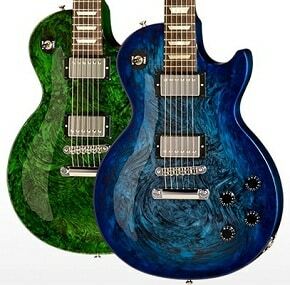 Visit their website: www.forrestyorkguitars.com. Forrest is one of the most genuine guys you’ll ever meet. 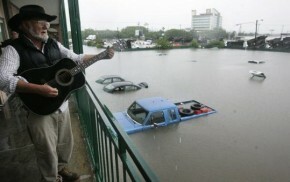 A true musician at heart with a true passion for helping people revel in the art that IS music. Whether you live in Nashville’s Music City or Small Town U.S.A., we all have our favorite local guitar stores that continue to thrive from the support of each and every single one of us. These guys made our list! Who’s on yours? We’d love to hear your two cents in the comments section below. Don’t forget to include your favorite local shop!